See Perth's youngest comedy heavyweight bring the laughs again at FRINGE WORLD with his brand new show Ebz Dispenser! 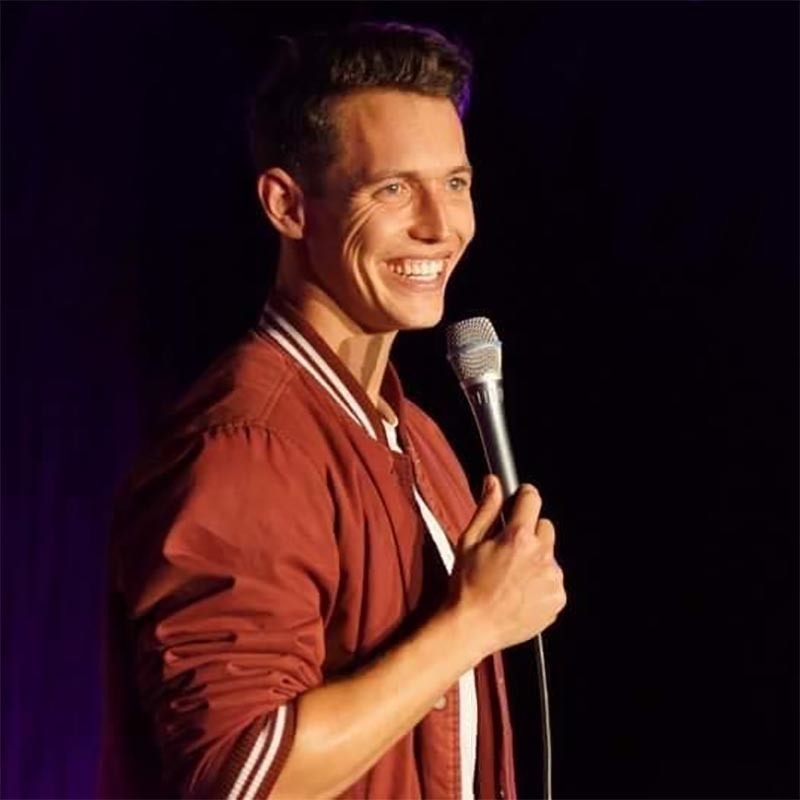 Colin has been performing standup for almost a decade now and at only 26 has multiple sellout FRINGE WORLD runs under his belt with nominations for Best Local Comedy (2013) and Outstanding Comedy (2015). He's toured Australia with featured performances on the ABC as a Raw Comedy National Finalist and headlined WA's own Rottofest Comedy Festival. Be sure to see the 6th shiny new hour of non-stop hilarity from this energetic comedy dynamo! "A true funny man" ★★★★ Fourth Wall Media, 2018. "Had the room in stitches" The Music, 2014. "Charismatic, lighthearted and funny" The West Australian, 2013. Colin Ebsworth is one of the most prolific young comics in Australia with multiple sellout and award nominated solo shows under his belt. He's been featured on the ABC as a national finalist in Melbourne International Comedy Festival's Raw Comedy Competition. He's also the only comic in Australia to write and perform two sellout award nominated hours of standup in a single year, back to back, at the same festival. Professionally Colin writes for some of Australia's most exciting new talent and delivers consistent new hours of material each year to great acclaim and sellout audiences. You can see him around WA at all major venues and festivals with featured appearances at Falls Festival and Fremantle Beer Fest along with headline performances at WA's own Rottofest Comedy Festival.